General Director – Mr. Sergey Valentinovich Matsenko. Research and development of technological regulations of cargo works (loading and discharging operations). 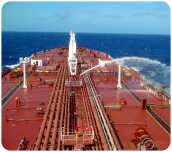 Research and development of ship ballast waters management plans in compliance with the requirements of IC MBW-2004. Consulting-methodical service to the participants of transportation process (including cases with emergency situations). Research and development of plans on the liquidation of emergencies, plans on liquidation of emergency situations on dangerous industrial objects. Research and development of declarations of industrial safety on dangerous industrial objects. Research and development of passports of safety on dangerous industrial objects. Research and development of technological regulations. Research and development of technological regulations for operating, reconstructing objects of transport, as well as objects of technological modernization. Scientific researches in the area of transport security. Research and development of plans on transport security and means of transportation. Research and development of plans on the security of ships and port facilities. Research and development of operative fire fighting plans on fire-dangerous objects and vessels. 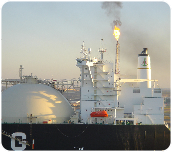 Research and development of automatic fire-prevention safety system of ship installations and berth facilities. Research and development of systems and modules of automated management of fire-prevention equipment and warning means of ship installations and berth facilities. Research and development of microprocessor control systems and the control by fire-prevention complexes as well as program algorithms for the management of the above mentioned systems. Research and development of plans on oil spills response. Support in the coordination and approval of oil spills response plans in state run public authorities. 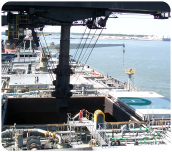 Research and development of port plans on the control of ballast waters and residues and the management of them according to IC MBWMK-2004. Research and development of projects of an ecological substantiation of the planned activity. Support while the state ecological examination of projects. Research and development of an estimation of influence on the environment. The arrangement and support while of public hearings. Support while the state ecological examination of projects. Preparation of the complete set of the documentation for licensing and support while licensing of the company in Federal Service on the supervision in transport (Rostransnadzor). Preparation of the complete set of the documentation and support of licensing of the company in Federal Service on the supervision in nature management (Rosprirodnadzor) in the area of dangerous wastes handling. Prelicense audit of the enterprise, issue of recommendations on the increase of readiness for the audit by licensing state run public authority. 1. Preparation of the complete set of the documentation, training and certification of rescuers, support while certification of rescue teams of the enterprises and the organizations of the transport complex in Federal Service on the supervision in transport. 2. 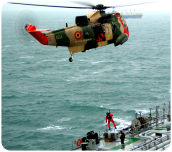 Research and development of drills plans, the arrangement and carrying out of command-staff and complex drills of rescue teams per the specified kinds of salvage-rescue operations.. Support of the coordination of drills plans. 3. Precertification audit and estimation of rescue teams and rescuers readiness for the certification, working out of recommendations on the increase of readiness for the inspection by the certifying commission. 1. Research and development of projects and the operational documentation for new vessels, waste oil collecting vessels, floating berths, modernisation of vessels, anchorage on «dead anchors» floating objects, equipping of vessels for the transportation of dangerous cargoes, the ship operational documentation, towage of vessels, floating docks and other floating objects. 2. Research and development of the project documentation of a stage «P» and stages «R» according to the Provision on the structure of sections of the project documentation and requirements for their maintenance (approved by The governmental decree of the Russian Federation dated February 16, 2008 # 87). 3. Technological support of the project, including support in the expert bodies (Glavgosekspertiza,, the State ecological examination, Rostehnadzor). 4. Delivering of field supervision of construction, modernisation,, technical survey of r constructing and operating facilities. 1. Research and development of expert conclusions per the whole list of activities majors. 2. Legal support of the enterprise audit by bodies of the state control and supervision. 3.Representation and assertion of the enterprise interests while audits by the bodies of the state control and supervision.. Expert support in a course of trials. 1. Training per working specialities. 2. Special training of the personnel. 3. Training in the field of industrial safety. 4. Training and certification of rescuers.